Two weeks into the year and our first night away from home, that has to be some sort of record. As my eyes started to open and one of them peered out of our room at Ab and Matt's place this morning, Matt had already been at work for a couple of hours, no doubt dreaming of coming home and getting stuck into the never ending list of chores. I don't think I'd like to swap places with him, but I'm happy in the knowledge that I've done my time, as he should be in the knowledge that our grass was once perpetually in need of a mow as well. I do recall that I've already expressed my view on mowing on these very pages, so won't repeat myself, other than to say that in the very probable event that the next home of the biting midge is not beside a quiet river somewhere, there is very little chance of any deliberately cultivated grass finding it's way into our lives! That is one of the curses of living in Qld. I haven't mowed mine for 6 weeks and it is not yet looking disgusting. 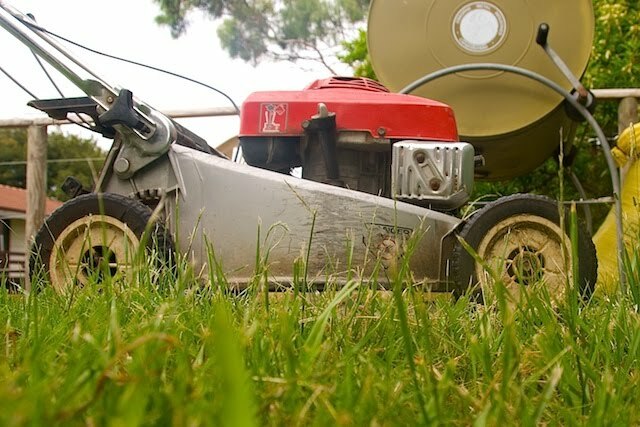 I try to do it once a month (with 4 or 5 months off over winter) but it's been raining every time I think about it lately ... again in qld the minute the rain stops you hear the hum of mowers with people desperately trying to mow it down before it turns into a jungle. Oh, note that it is Joan writing this ... his lordship has far greater tolerance to long grass than I so it became my job ... easier than nagging.